By now you’ve heard about the recent CryptoCurrency mining craze! Maybe, you’re trying to cut yourself a piece of the pie, which is still doable today, even with the spike in mining difficulty across most coins. Whether you’re doing this as a hobby or for profit, you’ll need a powerful computer – a mining rig – to make it worth your while. We will be building this rig with Zcash and Ethereum in mind, as they are currently the most popular cryptocurrencies to start mining. The Motherboard is the big flat piece of your computer “guts” that EVERYTHING plugs into. Every part that you choose needs to be compatible with your MOBO, so keep that in mind. The motherboard is going to dictate what kind of CPU you have, how many GPUs you can hold, how much memory you can have, etc. All of your other parts rely on your motherboard, so choose wisely. The main compatability issue will rise from you MOBO/CPU combo, as the motherboard has to have a matching CPU socket. An easy way to check if your parts are compatible is to use the PC Part Picker tool. Now, most MOBOs have multiple slots for multiple GPUs. Right now, a standard Mining Rig MOBO will have the capacity for 6 GPUs. However, many GPU companies are starting to add slots for even more GPUs. Check out this one that can hold TWELVE GPUs! Anyways, we’re going to build a standard 6 GPU rig, so this is a bit of an overkill. So, this MSI Pro Solution Intel Z170A LGA 1151 DDR4 USB 3.1 ATX Motherboard (Z170A SLI Plus) should work perfectly! It has 6 GPU slots, which is exactly what we’re looking for! The CPU in a mining rig isn’t all that important. It is important, but you don’t need a high-end CPU for it. An i7 would be a huge overkill, heck, even an i5 would still probably be a bit much. You don’t need it to be super powerful since it will do one thing and one thing only, mining. It appears that everyone gravitates towards the Intel Celeron series. They are powerful enough to get the job done, yet inexpensive to help keep the costs of your rig down. The Intel Celeron G3900 Dual-core (2 Core) 2.80 GHz Processor is the most common CPU found particularly in Ethereum Mining Rigs, but it will also work well for mining just about anything else! It is powerful enough to be very successful in mining, yet it is only $41.00. Definitely a good buy while they’re readily available! This is probably the most important part of a mining rig. Since most cryptocurrencies are mined with a GPU, you’ll need a powerful one to yield the highest hashrate possible and therefore earn coin faster. Choosing a GPU can be a daunting task because there are so many with different specs, RAM, chipsets, and a whole lot more that effects your hashing power. Today NVIDIA reigns supreme! Their GTX 1070, GTX 1070ti, and GTX 1080 have been killing it! They’re not as powerful for mining Ethereum as the RX AMD series, but they are better for equihash (Zcash, Zen, BTG, Monero) they are competitive and generally NVIDIA products hold their value better than AMD. So, if you ever wanted out of the mining game, you could salvage your parts for a decent amount. GPU RAM is important because without it, you won’t be able to mine. Equihash coins (Zcash, ZEN, BTG) can be mined with as litthe as 2G GPU RAM. Ethereum requires at least 4G GPU RAM. You need enough GPU RAM to at least cover the DAG file size, which is a bit over 3GB for Ethereum, as of this writing. So, you’ll need AT A BARE MINIMUM 4GB of RAM on your GPU to cover it, anything less and you may not be able to mine. More is better, so if you can afford a GPU with more RAM, GET IT! It will ensure that you are able to keep mining even as DAG Files get bigger (which they continually do). It is recommended to go with a GPU that has atleast 6GB of RAM to allow for the increase and give you some wiggle room, again… more is more! At least 4 GB RAM is about all you need. You don’t need a lot of system memory to mine zcash or ethereum effectively. 4GB is about as small as a stick of RAM comes these days, so I recommend just picking up a cheap one as long as it is DDR4 desktop memory. 1300W Power Supply Unit should do the trick for most 6 GPU rigs (without nvidia 1080s). You can calculate how many watts you’ll need by looking at the power requirements for each component of your computer and adding them together. No PSU is 100% efficient, so take that calculated number and go with a PSU that has a little bit more. It is always better to have a PSU that can hold more than you need, than not enough. Too little power and you’ll over work it and could start an electrical fire, which is bad in most opinons. Look for Gold or Platinum rated (as opposed to silver or bronze). This is the industry standard for rating the efficiency of a computer’s power supply unit (PSU). Also check the number of molex, 6 pin and 8 pin connector cables. To be able to connect all your GPUs. To connect more than one GPU to your motherboard you will need Riser PCIe adaptors. You will need some Molex to 6 Pin power cables, depending on your power supply. Read the specs of your PSU, and order the number of missing cables. Important: Never use sata to 6 Pin adaptors! They can not carry enough watts to power GPU risers safely. An open air case is recommended due to the heat generated by the GPUs. For up to 3 GPUs you can simply screw your components on a shelf-like piece of wood. It is argued that Linux is best for mining. 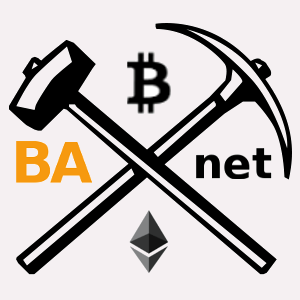 If you choose Nvidia GPUs you can use the free banet nvidia mining OS. Nvidia will generally be more power efficient than AMD and be optimal for mining equihash coins. Zcash, Zen, BTG, Monero. And 90% or so efficient for ethereum mining. If you go with AMD GPUs, you could use EthOS $39.99 on linux to optimize your Ethereum and ZCash mining. But keep in mind that AMD gpus are more power hungry, and require GPU BIOS modding to get maximum performance. Ultimately, it is all up to user preference. You can make just about any rig into a mining rig. Only a few pieces of hardware really make a difference. The biggest difference maker in the mining world is your choice of GPU. Today Nvidia reigns supreme in bang for buck. Also in power efficiency. We want to make cryptomining available for everyone. It all starts with building your rig, so let’s get building!